This wonderful castle is close to the famous “Hill of Tara”. At Ireland and Scotland Luxury Tours we often combine visits to these two hidden gems. The castle dates from the 13th century but has been modernised. It is owned by the Plunkett family and they have lived here since the 16th century. The owner holds the title “Lord Dunsany” to this day. 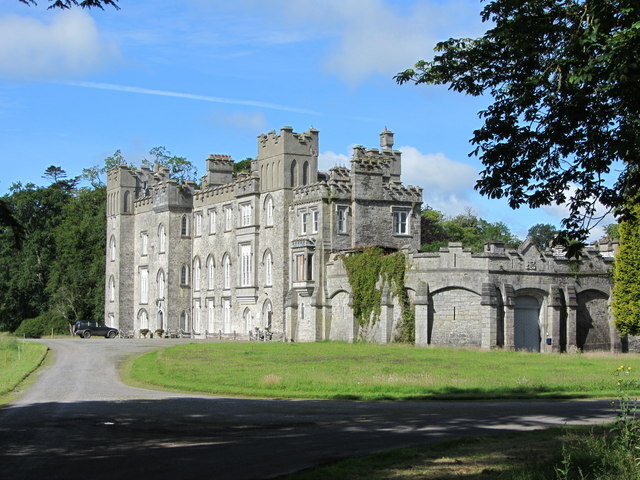 It is one of the finest surviving examples of a thriving Irish castle. The castle also holds a lot of artworks well worth looking at. The Dunsany family history is told in the castle and is tremendously interesting. It is a fiercely Catholic history and the family seemed to have the knack of being on the wrong side of Irelands numerous conflicts. The fact that the family and the castle still exist is amazing. There is also the 15th century Saint Nicholas’ Church within the wooded grounds. “Kilkeen Castle” is close by and was owned by another branch of the family. This is another story in itself.